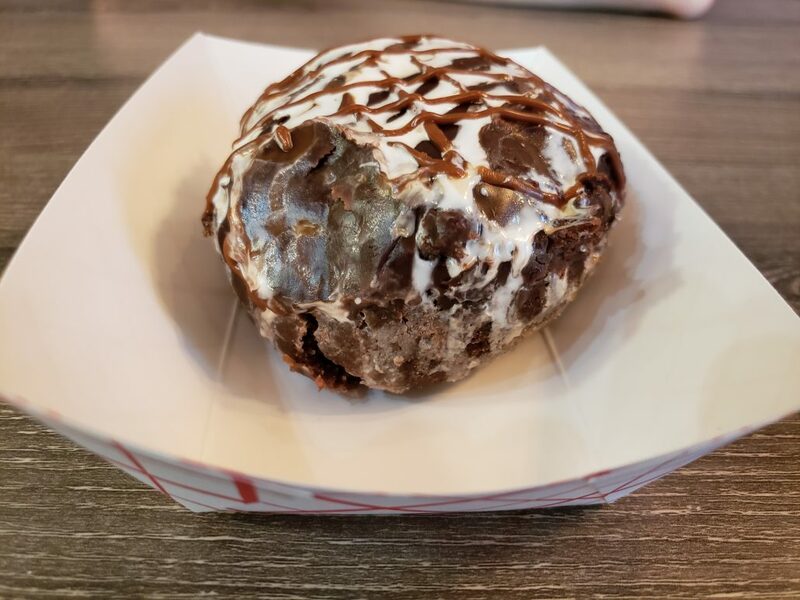 The Campfire donut was the most unique of the bunch I had on my visit to Bon Glaze today. 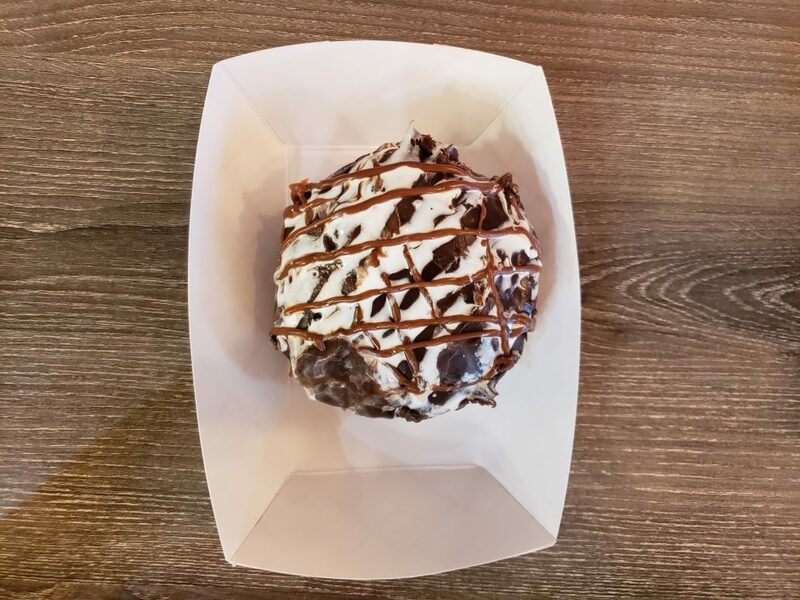 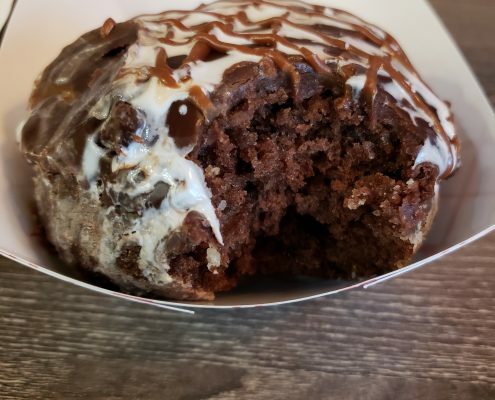 The donut is largely a chocolate cake with caramel and marshmallow drizzle on top. 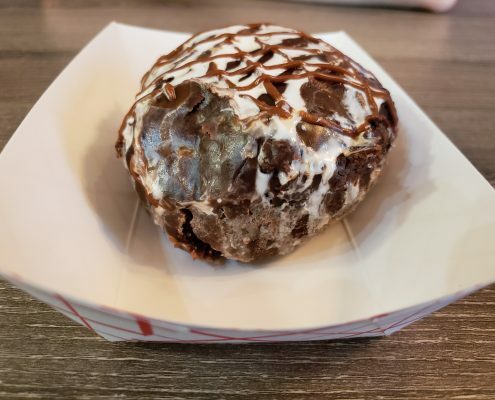 Especially compared to most of Bon Glaze’s other donuts, it’s incredibly dense — hence the “cake”. 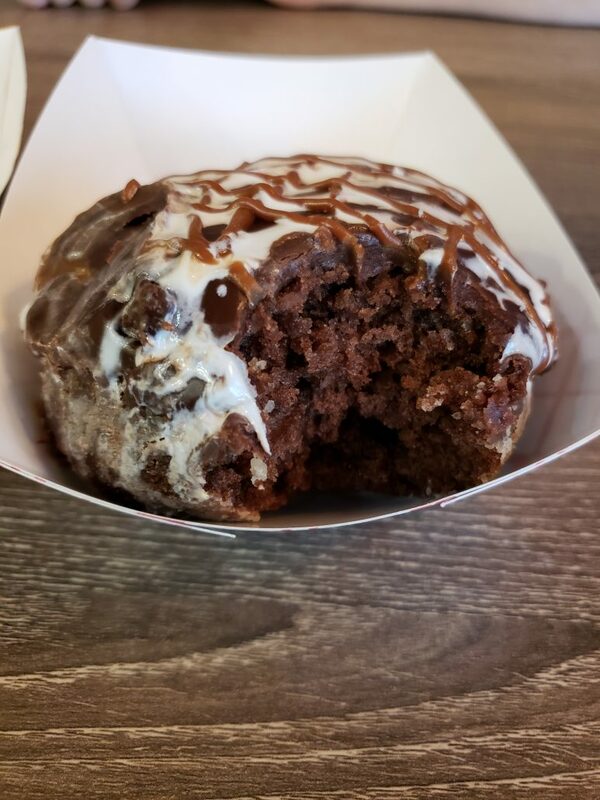 Luckily, if you like chocolate, this is also the right donut for you. 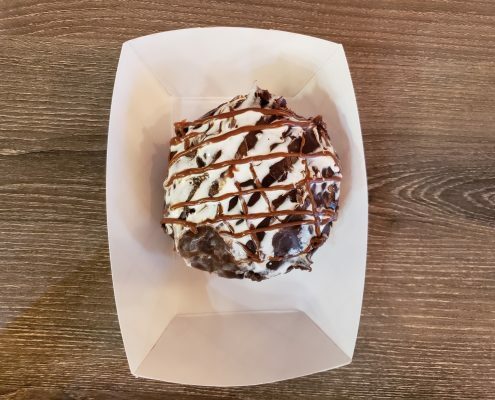 Note, though, that because this donut is cake, it does crumble more and make you crave a big cup of water or milk.